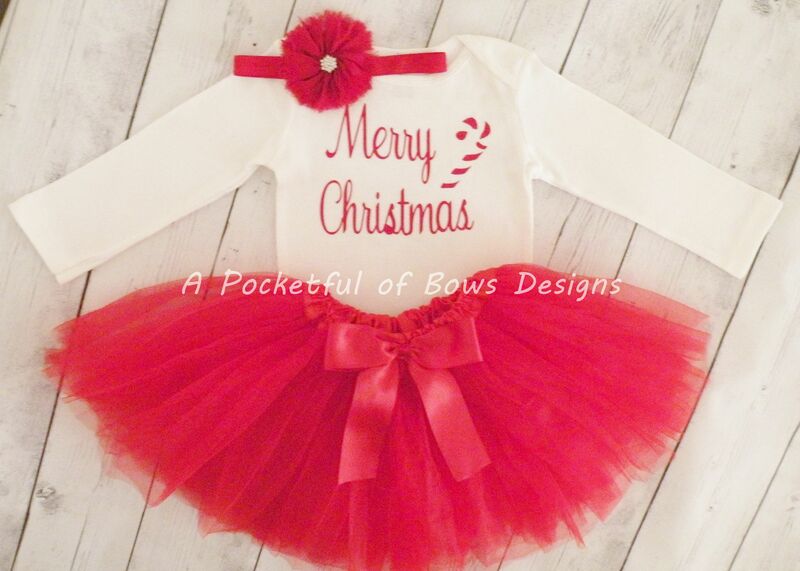 Girls Christmas tutu outfit. The top has Merry Christmas and a candy cane in glitter red. Available as a bodysuit or toddler tee shirt. The headband is white with a red flower with a sparkle gem center. The skirt is red with a red satin bow attached. 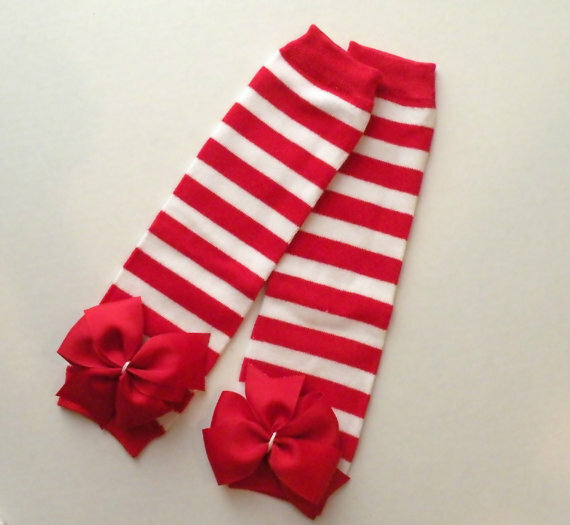 The leg warmers are read and white strips with big red bows attached.